My first trip to China, in fact Asia, was an exciting idea; beside believing I knew the cuisine (which I disliked after countless experiences of it in Australia), and a small amount of knowledge of the Chinese political system I had no other preconceived notions of Chinese life, culture or history. After a four hour layover in Suvarnabhumi Airport, in Bangkok, Thailand, and 15 hours of flying over an ever-changing landscape of rice fields, deserts and what appeared to be snowcapped mountains I finally landed at Beijing Capital International Airport. The usual process of Customs and Immigration were similar to other airports I’ve travelled through, however one thing that I believe is unique to Chinese air travel is the infrared-thermal imaging cameras used throughout the airport to identify travellers who may be entering the country with a communicable diseases and sickness, so maybe avoid Chinese airports if you’re running a fever. By the time I left the airport is was dark so I headed for my hotel, the Beijing River View Hotel in the Dongcheng area of the city. From my hotel I found a local restaurant and had my first experience of authentic Chinese cuisine and boy was it good! I had no idea what I ordered, my Mandarin-illiterate-self just pointed at the tastiest looking pictures on the menu and attempted to communicate to the wait staff that this is what I wanted. The food was cooked fresh and was nothing like what I expected; putting to rest my previous thoughts on Chinese cuisine. The view from the Great Wall of China is spectacular. 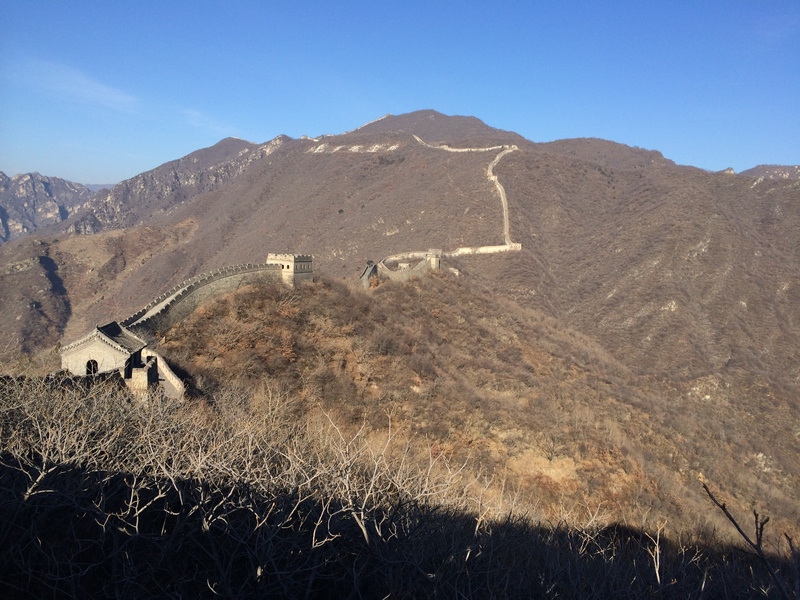 The next day I travelled to The Great Wall of China, similar to the Eiffel Tower in France, the Taj Mahal in India or the Grand Canyon while in the States, the Great Wall of China is a definite must see for anyone travelling to China! 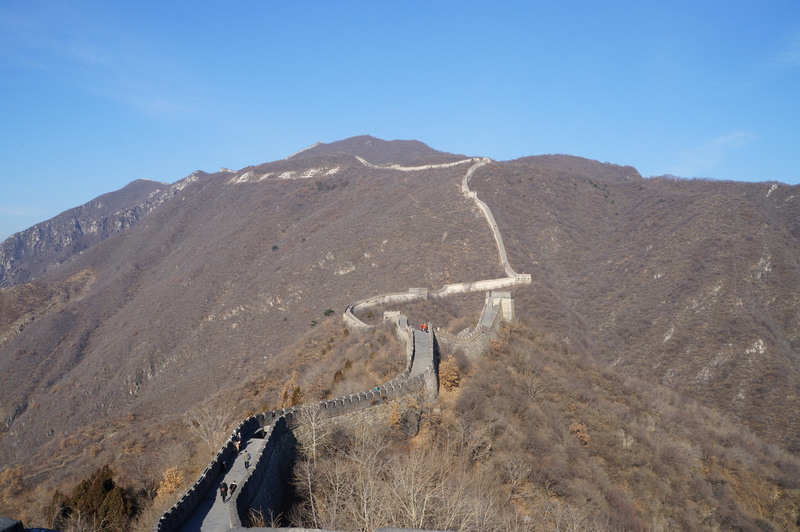 Located roughly 70 kilometres (43.5mi) northeast of Beijing and situated on the peaks of an enormous mountain range; the Mutianyu section of the wall is one of the few sections of the wall open to the general public. Short on time, I caught the gondola to the top of the wall rather than take the some 4,000 steps to the top. 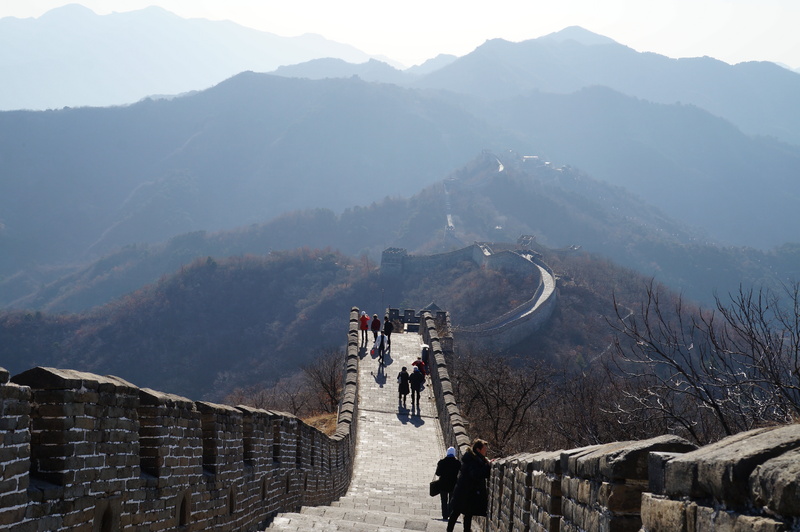 Seeing the wall for the first time is quite striking and the history surrounding the wall is equally as impressive, with the original wall being built during the Northern Dynasties period in the sixth century, rebuilt and upgraded over the last 1,500 years. The Mutianyu section of the wall winds for 2,250m along the mountains. Spending more than two hours here is necessary, especially if you want to walk along the wall, getting to the wall around 9AM or earlier (opening time is around 7AM, depending on the season) is the best time as there are less people on the wall, allowing you to take uninterrupted photos of the wall, the surrounding environment and mountain range. Despite being out in the regional areas of China, the view from atop the Great Wall is still impacted by the heavy amount of pollution produced from China’s capital, albeit, a lot less than in the metropolitan areas.